The heart is the most vital organ in the cardiovascular system, where it has to perform the important function of pumping blood. A dog's heart is comprised of various layers of cardiac muscle, which form the compounds, valves and major vessels of the heart. All features of the heart are normally enveloped in a muscular and elastic covering, called the pericardium. The fluid in between the pericardium and heart features is called pericardial fluid and acts as shock absorber and provides extra elasticity for the cardiac muscles. The dog heart functions in a cycle, which begins in the lower left chamber, called the Left Ventricle. The heart muscles contract and oxygenated blood is forced out to the aorta (main artery) and pumped to the entire body through the aortic valve. 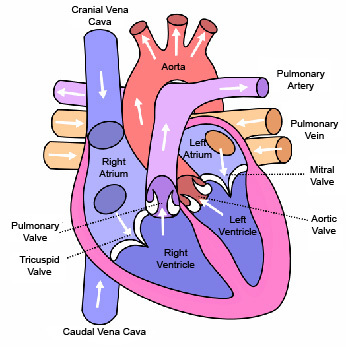 After completing the journey to the extremities of the cardiovascular system, blood returns into the top right chamber of the heart, called the Right Atrium. Here, the blood enters into the lower right chamber, called the Right Ventricle. The blood is passed through a special valve, called the tricuspid valve. From the right ventricle, the blood is pushed into pulmonary arteries, through the pulmonic valve. Blood is pushed towards the lungs (pulmonary system) to get re-oxygenated. Oxygenated blood from the lungs enters back into the top left chamber of heart, called the Left Atrium. Once the left atrium is filled with oxygenated blood, it is pushed in to the left ventricle (lower left chamber), through the mitral valve. Here, the blood is ready to be pumped again in to the main aorta, from where oxygenated blood is pushed to each and every extremity of the cardiovascular system in the body. Above is a brief overview of dog heart function, which is suitably characterized by contraction and relaxation of cardiac or heart muscles. Chambers are meant for storing blood for a while, and valves are the check points to prevent the back flow of blood and keeps the functioning of the heart as normal. There are several dog heart health problems, which causes dog heart failure. Most commonly, these are congestive in nature and therefore, the heart failure in dogs is specifically termed as canine Congestive Heart Failure. Several underlying diseases cause heart failure in dogs; conditions are progressive and fatal and not only affects the physiology of the heart, but significantly disturbs the functioning of body systems and tissues, which rely on the oxygenated blood supplied by the heart. Therefore, immediate medical attention is required on the clinical exhibition of even minor symptoms. Dog heart health problems affects a large population of dogs, making heart problems the second most common cause of death in dogs, after cancer in many countries. There are two different forms of dog heart health problems, i.e. congenital and acquired heart diseases. These are the dog heart problems which are present in a puppy since birth. This is a relatively rare form of dog heart health problems; only 5% of the dog population with heart problems gets affected by congenital cardiac defects. Heart murmurs are the most common type of congenital dog heart health problem, which is noted because of turbulent blood flow in the heart. This causes a disturbed and whooshing sound in the heart, which in general is called a defective heart murmur. In some puppies, heart murmurs appear to be temporary and self resolving, such forms of heart murmurs usually resolves at the age of 6 – 8 months. Patent Ductus Arteriosus; The blood vessel, which bypasses the lungs during a dogs embryonic stages (in the womb) fails to close and causes the escape of blood into chest cavity. Aortic & Pulmonic Stenois; These are two different forms of congestion or blockage, where pulmonic stenosis is blockage of blood flow from right heart chamber to the lungs and on the other hand, aortic stenosis is a blockage of blood flow from the left heart chamber to the entire body. Hole in the Heart; In this congenital dog heart health problem, one or more holes occur in the chambers of the heart, causing a severe defect in the pumping action of the heart. In this condition, the valves and cardiac activity of the heart becomes null. Acquired dog heart diseases are the most common types of dog heart health problems, which are acquired by a dog in its lifetime, with age, infections, infestations, injuries, nutritional disorders and other systemic problems. Acquired dog heart health problems are more common in middle aged and older aged dogs, and these underlying conditions significantly cause congestion in the heart, causing dog congestive heart failure. Chronic Valvular Disease; In this condition, the valves with the heart, i.e. tricuspid valve, mitral valve and pulmonary valve degenerates with age and starts to leak. In advanced cases, the degenerated cardiac tissues are replaced with connective tissues (remodeling) and which causes stiffness in the tissues. This makes the affected valves non-functional. 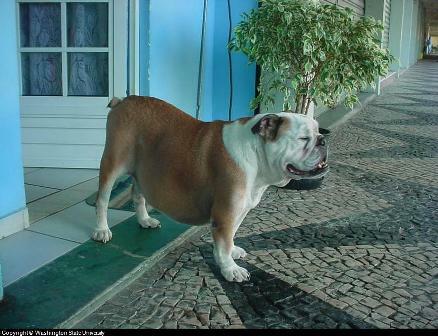 Myocardial Diseases; In this acquired dog health problem, the cardiac muscles of the heart are weakened and as a result the heart gets enlarged in size. Along with dog heart enlargement, the contraction and relaxation capacity of the heart is severely affected, causing defects in heart rate and rhythm. Pericardial Diseases; This group of dog heart health problems are purely related to the protective sac of the heart, called the pericardium. This protective and elastic layer may degenerate, looses elasticity or is filled with extra fluids, causing stiffness and wetness over the heart and chest cavity (lungs). The ventilation mechanism of the cardiovascular system is severely affected in these conditions. Arrhythmias; This is related to defects in the dog heart rate or rhythm. The electrical system of heart, which keeps the heart beating on a regular interval is severely affected. As a result, the heart may beat too slowly or too faster, causing disturbance in the pumping and distribution mechanism. A dog with any of these symptoms should immediately be referred to a veterinarian for detailed examination. At a clinic, a veterinarian may go for a detailed history along with a detailed physical examination including auscultation (listening to) of heart and chest sounds, examination of anemia (red blood cell concentration), heart rate, heart function and overall physiology of the dog. Clinical manifestations of heart dog health problems are technical in nature, which includes different patterns of heart sounds and murmurs, chest/lung sounds, anemia etc. Along with a dog's history and physical examination, advanced diagnostic techniques are very important in order to confirm any underlying cause of of a canine heart health problem. This is done with the help of radiography (X-Rays), electrocardiography, echocardiography, ultrasound and with traditional cardiac catheterization. It is necessary to confirm the underlying condition before initiating a dog heart treatment plan, but immediate support and control of severe symptoms should be begin soon after the physical examination. Different treatment plans are combined and only practiced on confirmation of any dog heart health problems. Specifically, a dog heart disease and canine congestive heart failure should be differentiated properly. Dog heart failure is the result of progressive dog heart disease, but this condition requires immediate medical attention. An underlying dog heart disease can be treated systemically. Treatment may require the use of life long medication and critical care. Different dog heart treatment options include medication, surgery, symptomatic treatment, support and critical management and care at home. Different medications, supportive supplements, natural remedies, tonics and systemic drugs are administered in combination, to control the progression of dog heart disease and to reduce any symptoms. Supportive supplements, natural remedies and tonics are essential because these improve the strength of the cardiovascular system and help to enhance immunity. Worthwhile natural remedies that can be used together include Heart and Circulation Tonic, to support overall heart health/circulation, and Immunity and Liver Support, to strengthen the immune system. Surgery is indicated in cases where there are life threatening conditions, such as in case of cardiovascular congestion, a hole in the heart, valve dysfunction and for transplantation etc. Surgery is practiced in combination with traditional medical and supportive modes of treatment. 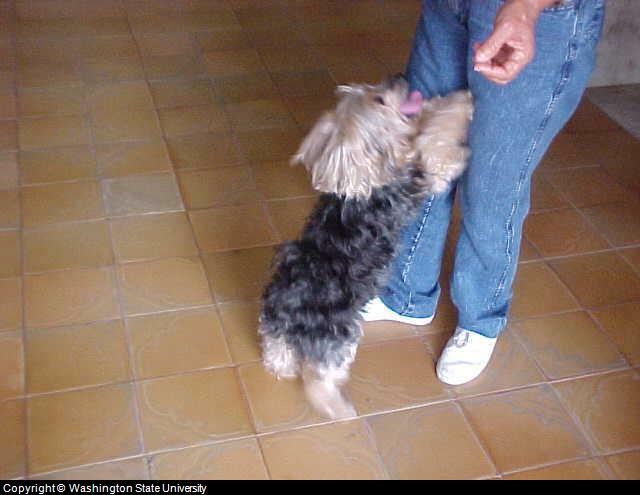 Critical care, management and support is usually needed at home, which mostly continues for a dogs entire life, along with specific medication. A dog with health heart problems should not be allowed to run, jump or exercise excessively. A Modified diet is usually needed, along with remedies which enhances energy levels in body such as Energy Tonic.